Fun and Sun Without the Buns: Aztec Please! 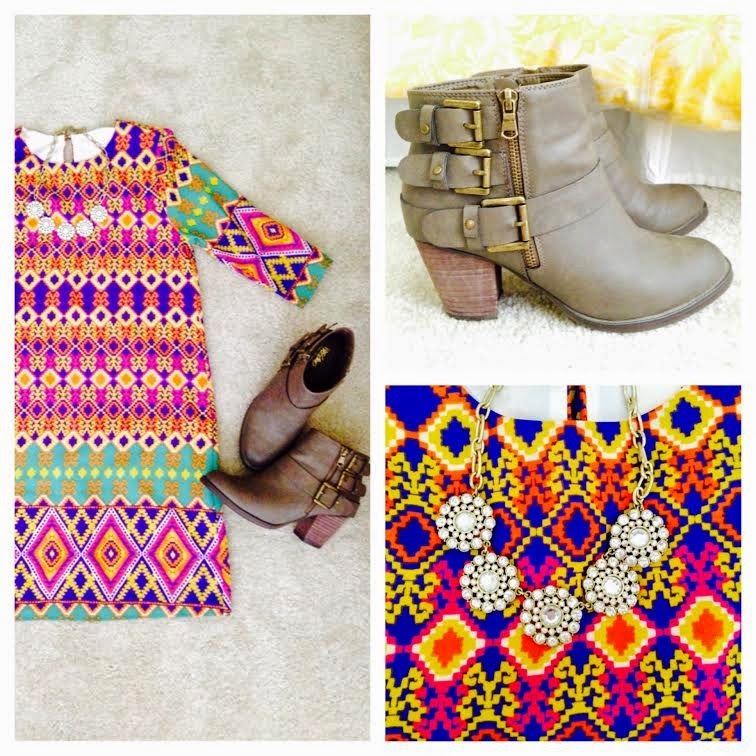 Okay, so I have to share this beautiful Aztec dress from Shoot the Moon LA with you ASAP! It is seriously one of my favorite dresses in my closet! Everything about this dress is an eye opener! And it's so stinkin' comfortable! I recently wore it to a wedding, so I know it is easy to move in (I prefer dancing… a lot). Also, I can wear this teaching. It is so versatile! I really recommend this dress to you! The brand is Everly, and if you know Everly, you know it is a great brand! Shoot the Moon does a wonderful job with their clothing and customer service! Such a great shop!